Axis feels that in a world that’s ever-changing, it’s the companies that are efficient yet adaptable and collaborative yet fearless that are built to succeed. 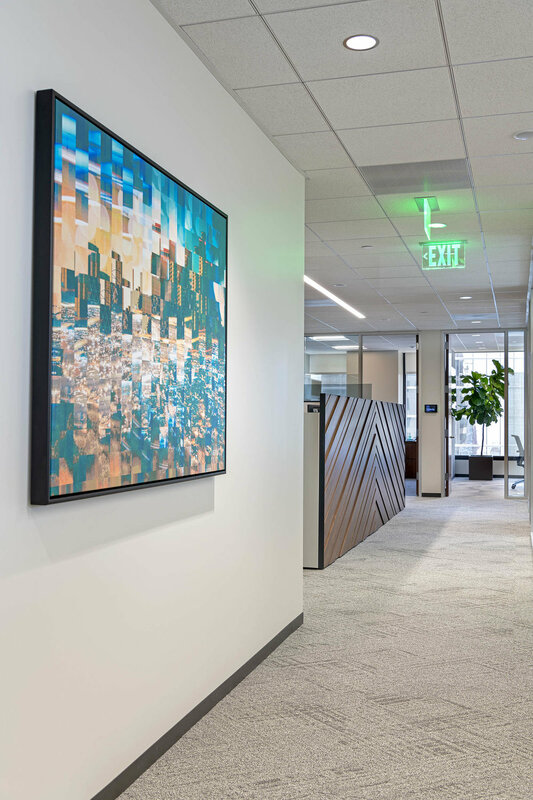 When asked to help design their new work space, we worked closely with their architectural team to deliver an environment that would deliver a sense of sophistication along with an appreciation for innovation. 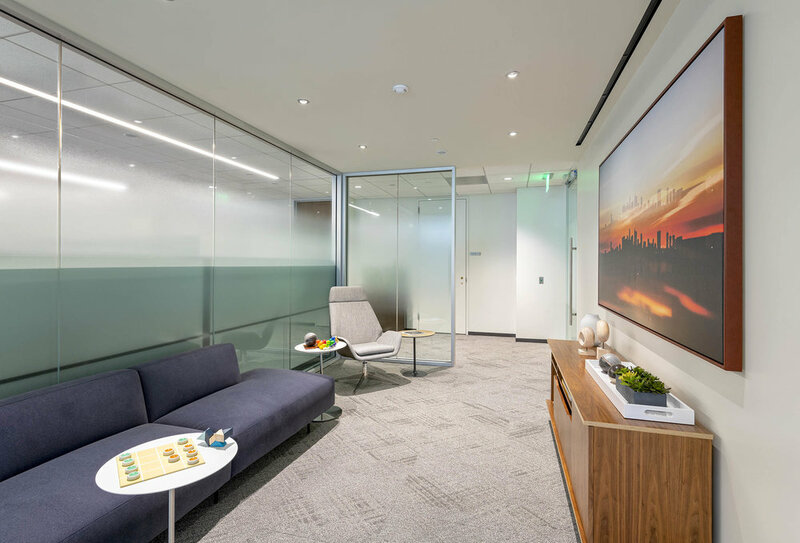 The color pallet and materials used helped to deliver a sophisticated vibe while the use of glass wall systems and more modern furnishings created the the feel of innovation. Software company Safety Culture is driven by their mission to help companies achieve safer, higher quality workplaces all around the world through innovative, low-cost mobile-first products. 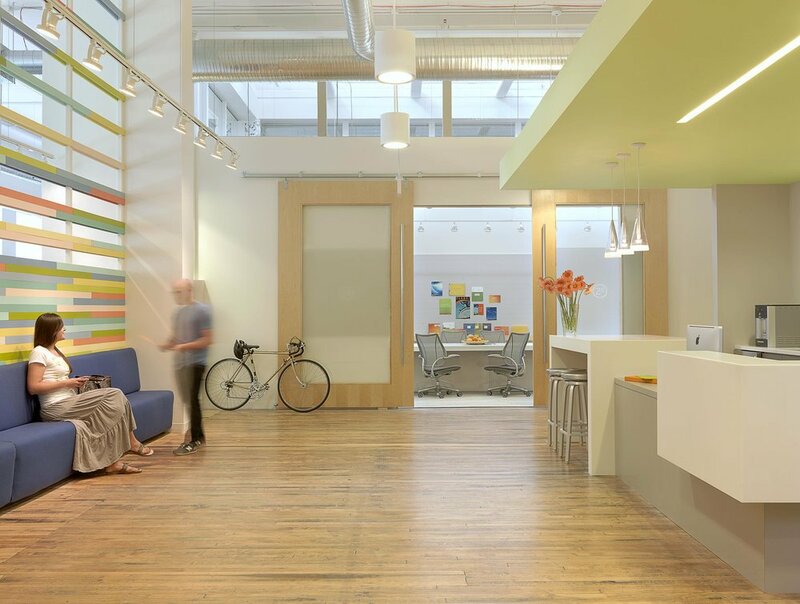 As an innovative tech company with a casual, fun culture, they needed a work space that would reflect that. 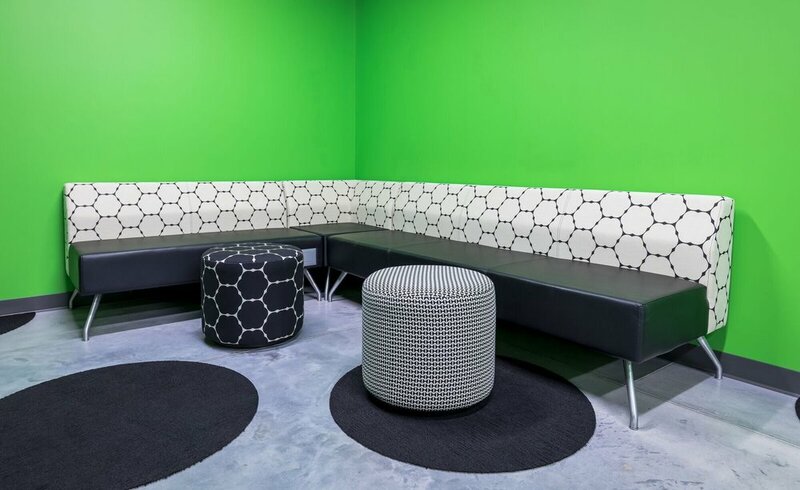 When designing for the space, we used vibrant greens and blues to help bring a fresher, more high-tech feel to the historic Crossroads building. Fun elements like a ping-pong table were also delivered to help foster an open, collaborative environment. 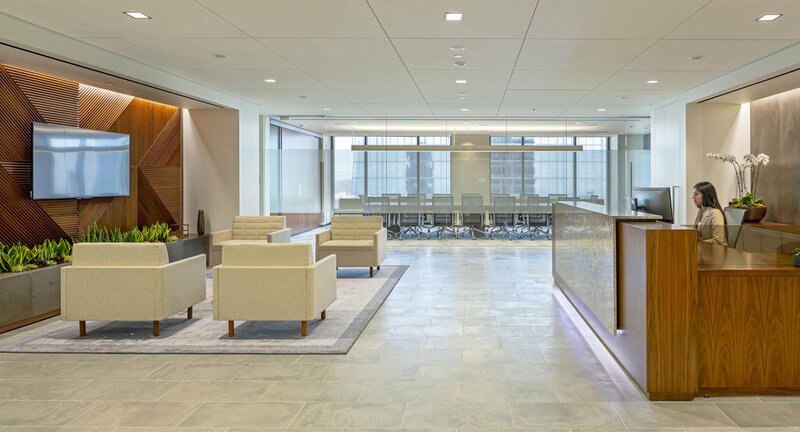 Home to 900 GSA employees, 2300 Main sits directly behind the historic Union Station Newly renovated by Isom Collective for Van Trust Real Estate. 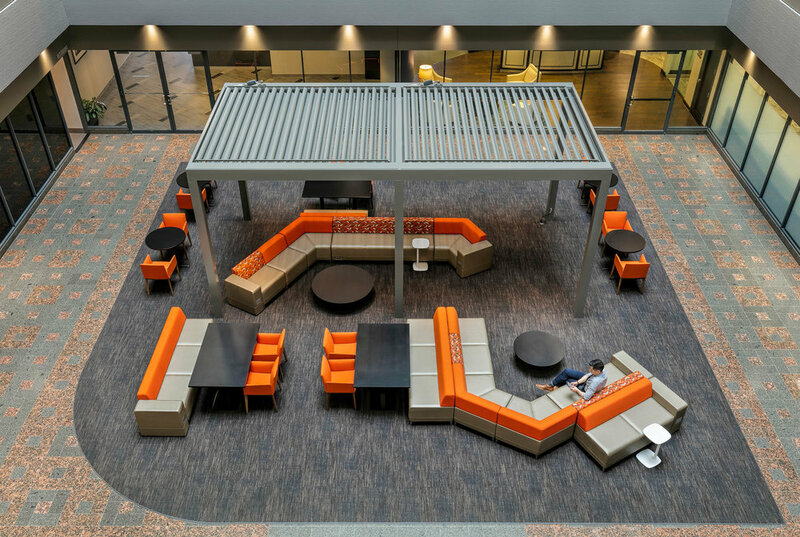 The 2 large open atriums were remodeled with fresh carpet, furniture and aluminum pergola to provide a space that is both welcoming and multi-functional. 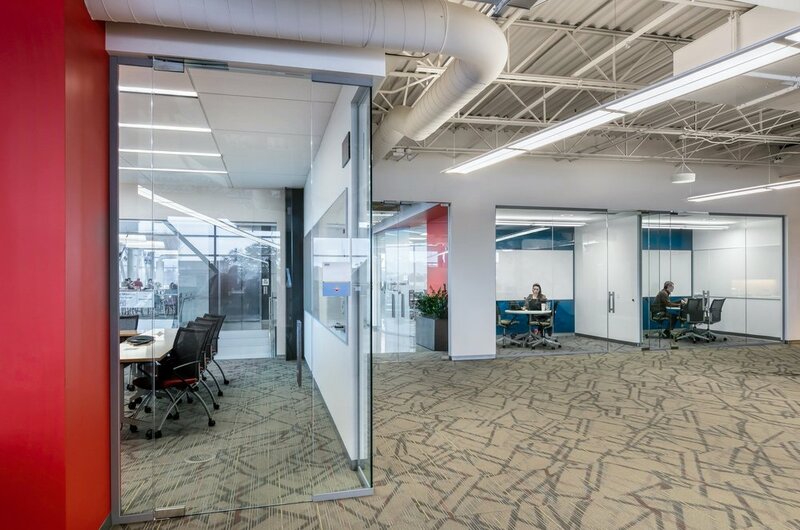 VantEdge Partners, a private investment group, wanted to have some fun with their new tenant buildout at Corporate Woods in Overland Park, KS. The neutral palette of gray and walnut gave us the freedom incorporate the blue of their logo into accents throughout the space. 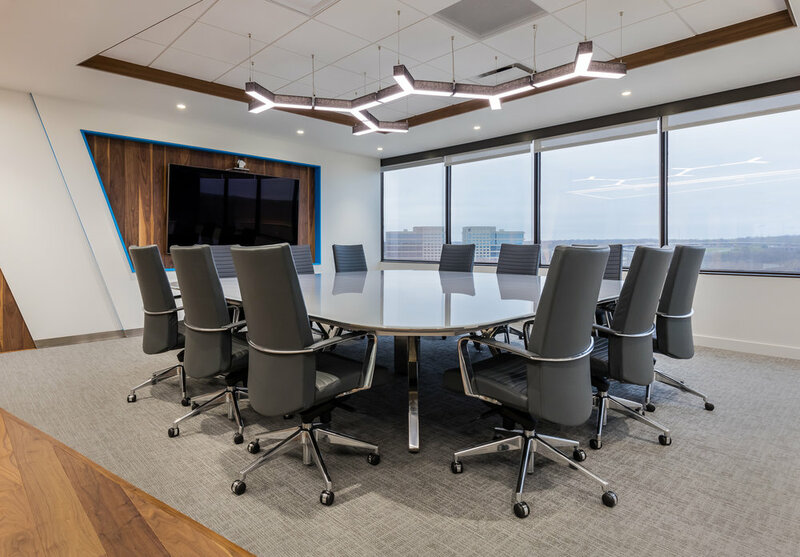 The conference room features a custom glass conference table with power built into the sides for convenience without sacrificing a clean aesthetic on the top of the surface. Fishtech was looking for a partner who would offer a full package of products. 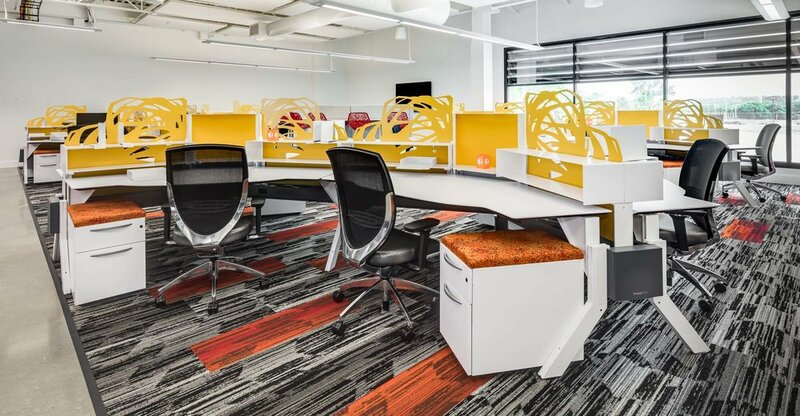 For Fishtech, flexibility and collaborative furniture was a priority when looking to build out their space, including technology integrated movable walls. 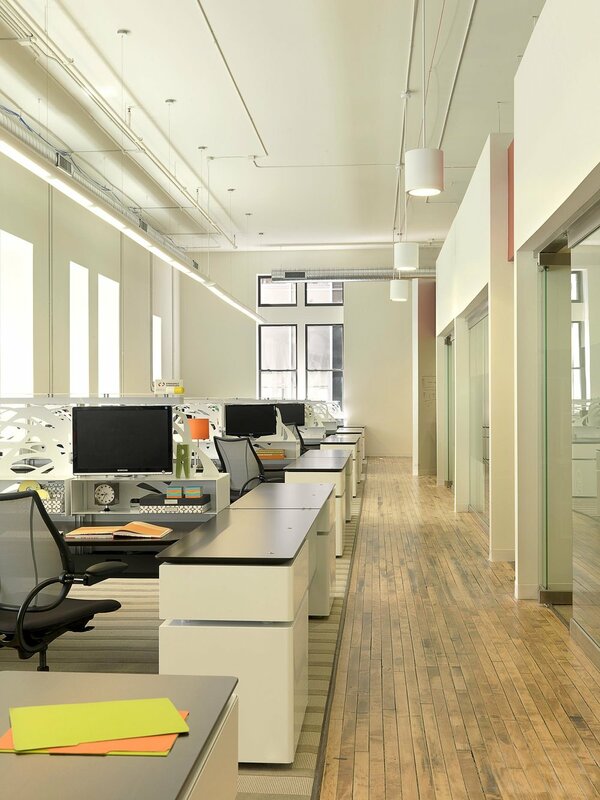 Every single workspace and office is unassigned, allowing total flexibility for the staff to move fluidly at any given time. 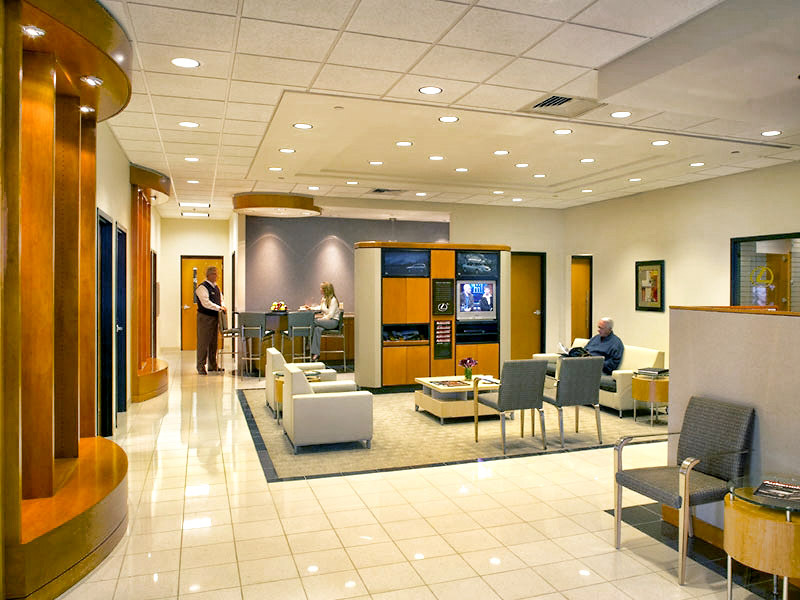 The result is a beautiful space that can flex with company as they continue to grow and change. 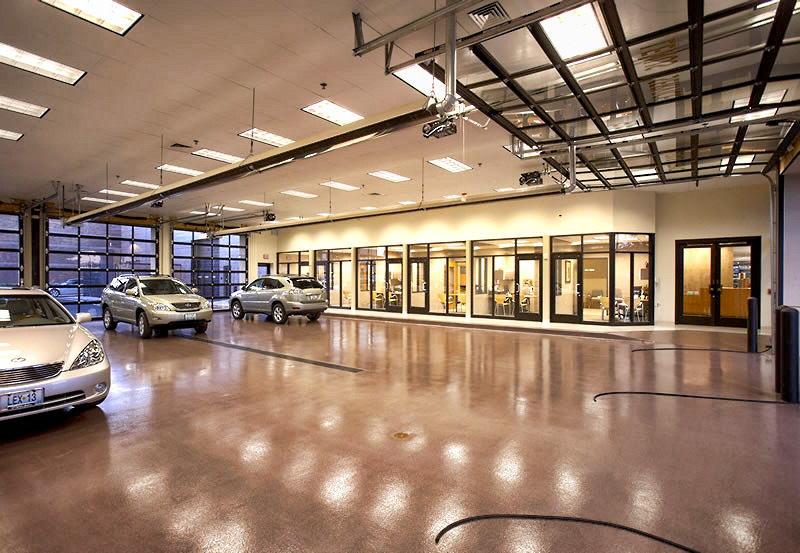 Watlow, a half-billion dollar global innovator specializing in design and manufacturing of thermal systems, needed to renovate their company’s 50,000-square-foot global headquarters and create a state-of-the-art technological-development facility. 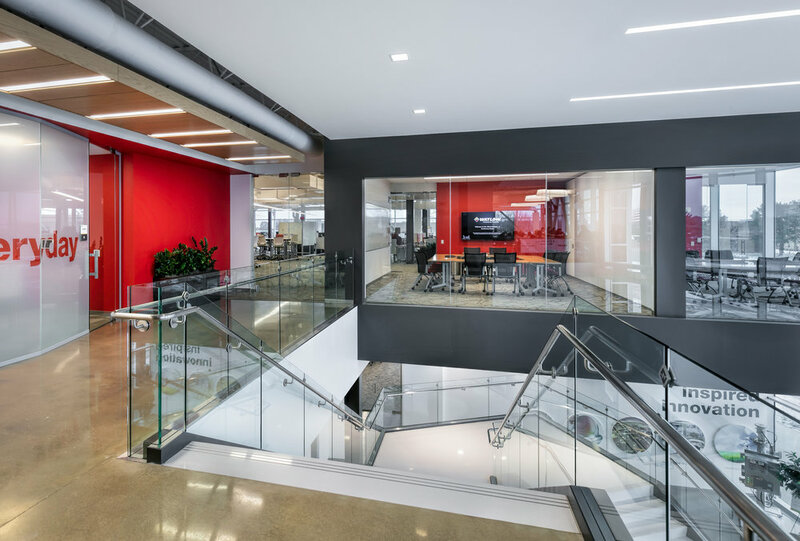 They wanted this new headquarters to reflect both their heritage and commitment to continued innovation. 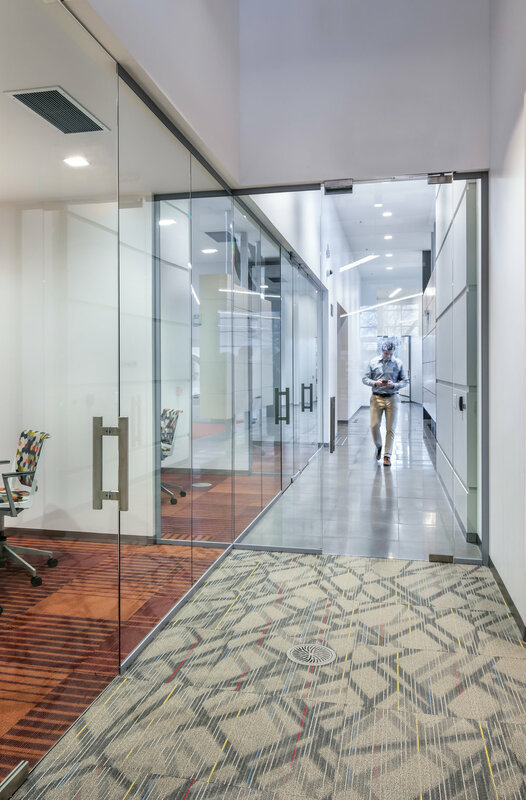 Working Spaces worked alongside the design and construction partners to provide transparency and light transmission via demountable glass storefronts, creating a space that feels fresh and cutting-edge. Avenue 80 is downtown Overland Park's largest and newest mixed-use project in over 30 years. The project’s goal was to expand on Overland Park's "Vision Metcalf" initiative, which focuses on bringing life to the aging retail and business corridor. The space includes 218 luxury apartments and 15,500 square feet of office and retail space, designed with luxury features geared toward a more youthful lifestyle and vibrant community. The Johnson County Arts & Heritage Center began as a historic building, which was transformed to host art and theatre programming for the community. Working with their mission to celebrate the diversity and rich culture of Johnson County and create thought-provoking exhibitions, the new space needed to encourage a new perspective of Johnson County’s place within the global arts community. 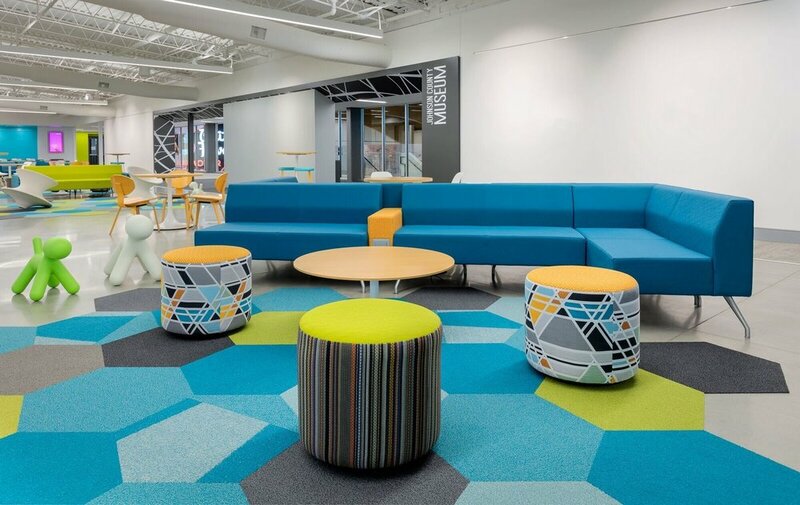 Bold colors and fun patterns were chosen to bring new life to the old building, and to create a space that families and friends will enjoy for years to come. 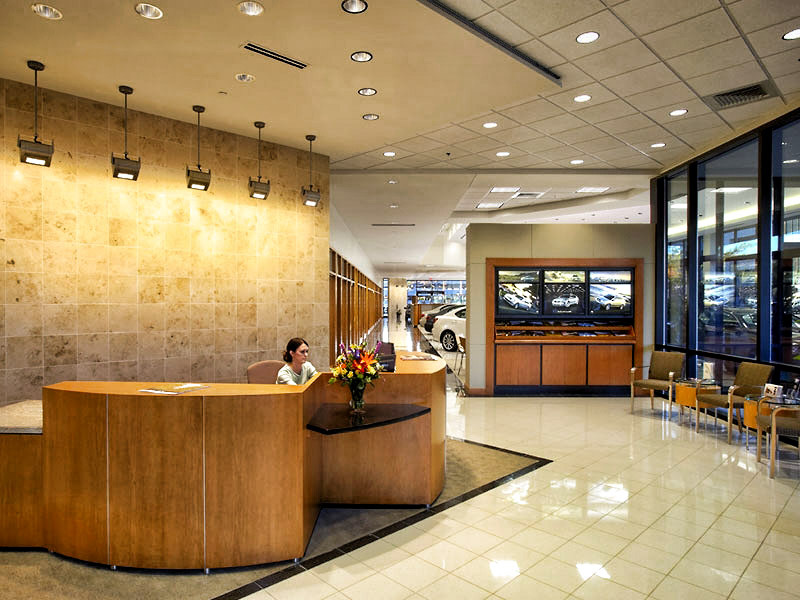 Working Spaces teamed up with TR,i Architects to create a solution that satisfied both the needs of the client while following the guidelines of the Lexus Corporation. 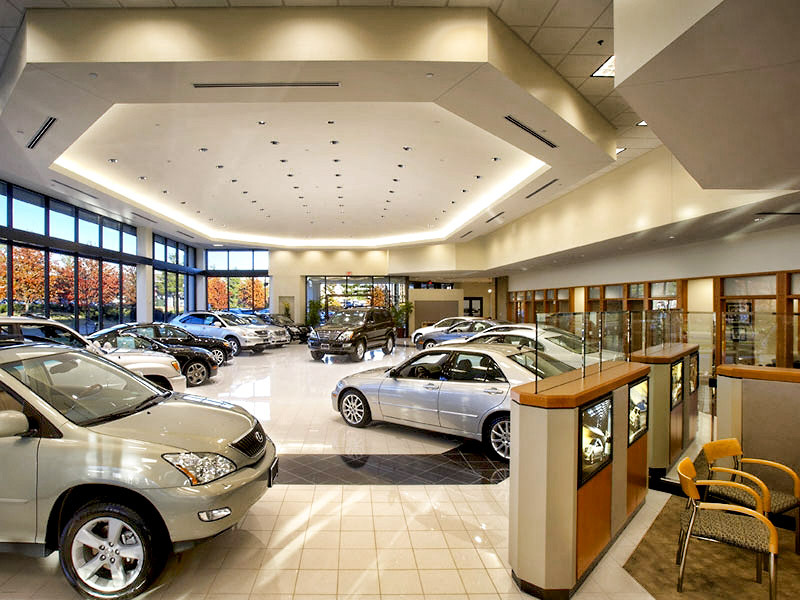 The result was a sleek, contemporary design that matches the elegance and style of the Lexus brand. 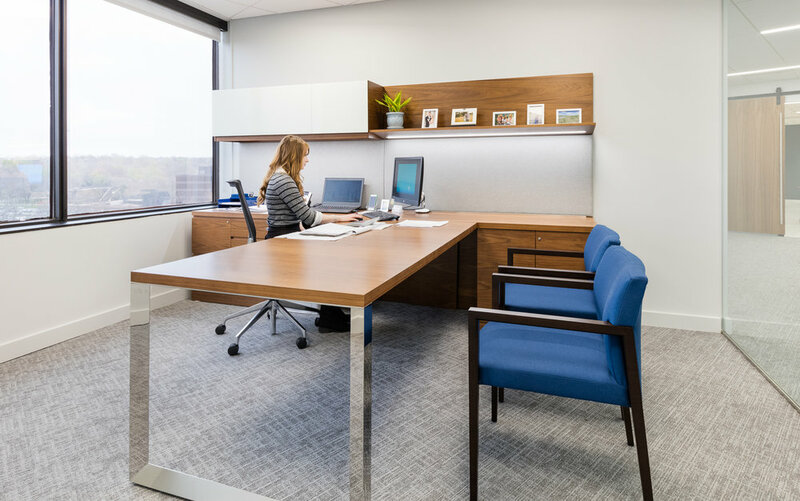 When 2e Creative needed new offices, the Working Spaces team collaborated with Nehring Design to deliver a highly functional space that would fit in with the company’s creative culture. The resulting design was met with rave reviews from the creative team (and the accounting department).